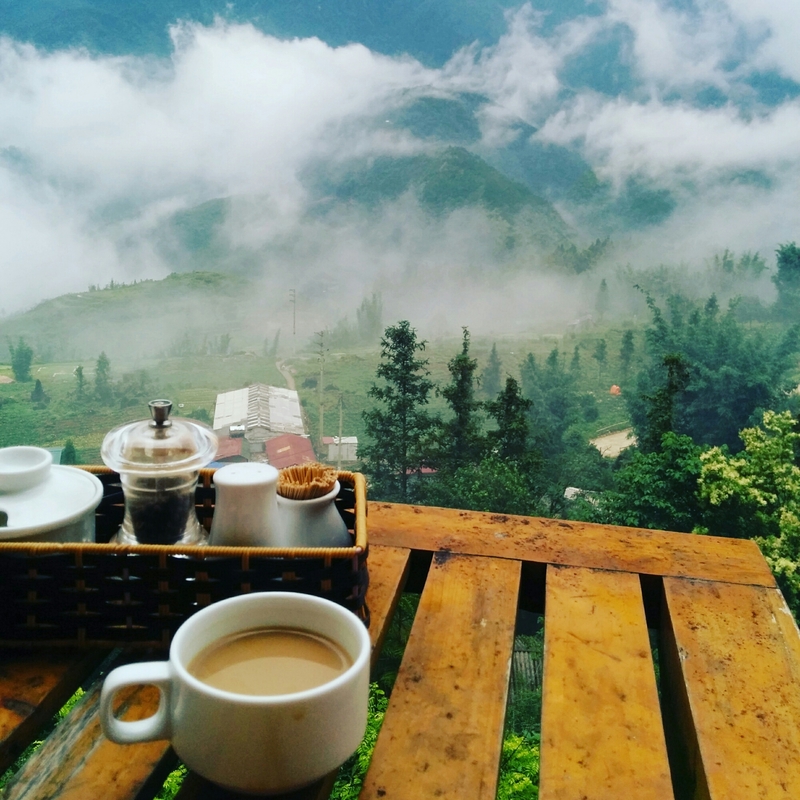 We had a beautiful breakfast on the balcony of Sapa Lodge to start our day. It was very foggy when we woke up but the day became progressively clearer. The clouds and fog hanging in the mountains gives one the impression of being in the heavens. 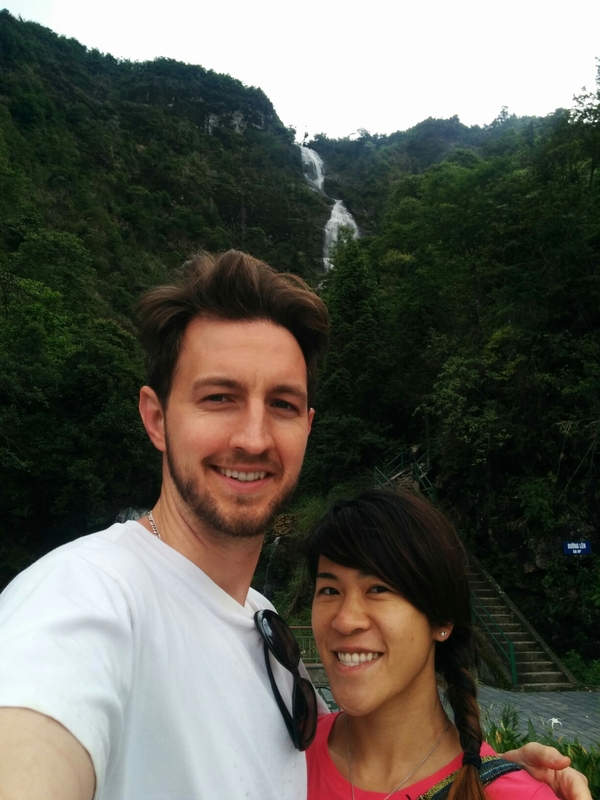 We rented a scooter and made our way to Silver Waterfalls, passing great views of farmland and valleys on the way. 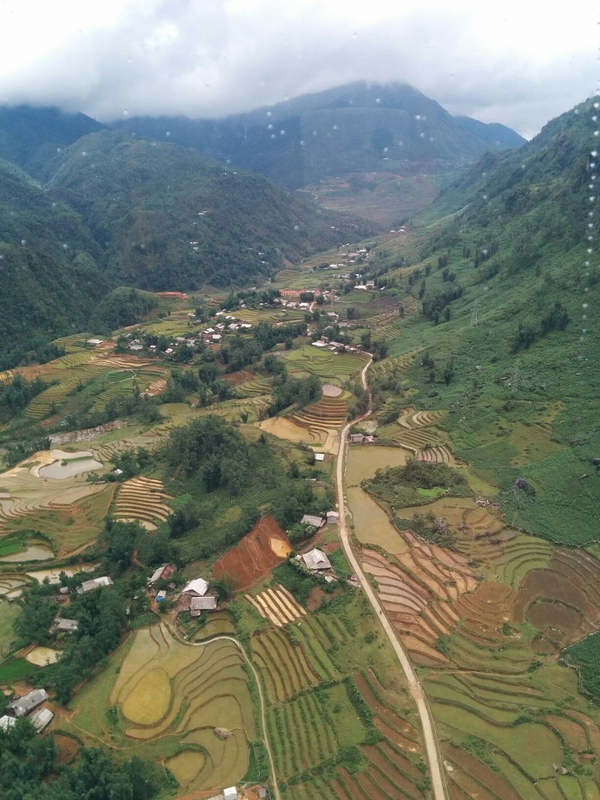 We then drove to Cat Cat village, and out to Muong Ha valley which had more scenic hills and fields. 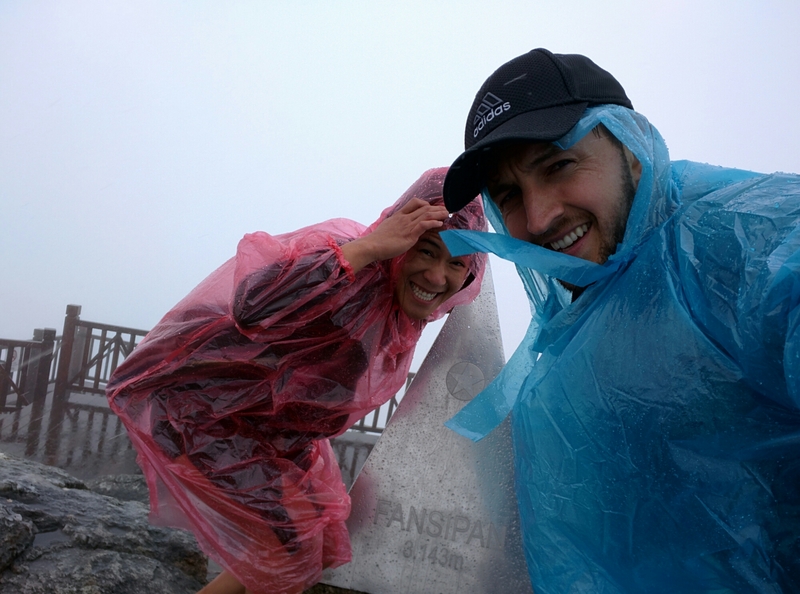 We stopped by Fansipan Legend, which has the highest cable car in the world, which goes to the top of Fansipan Mountain, the highest peak in Indochina. Hikers who do intense overnight hikes to get there aren’t too happy about this, but it makes me love modern technology. 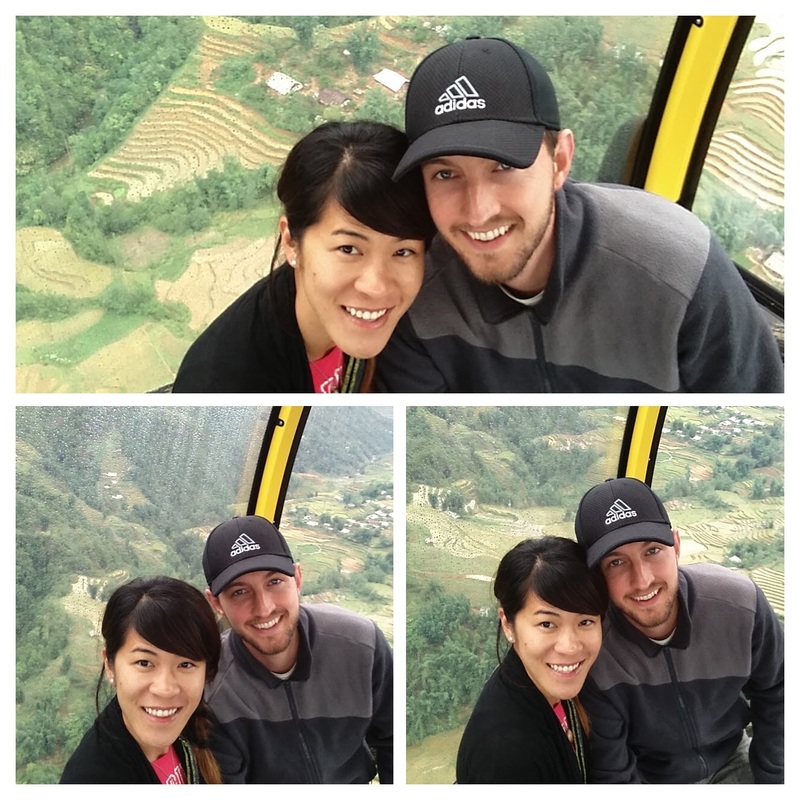 The tickets were not cheap, especially for Vietnam, but were totally worth it. 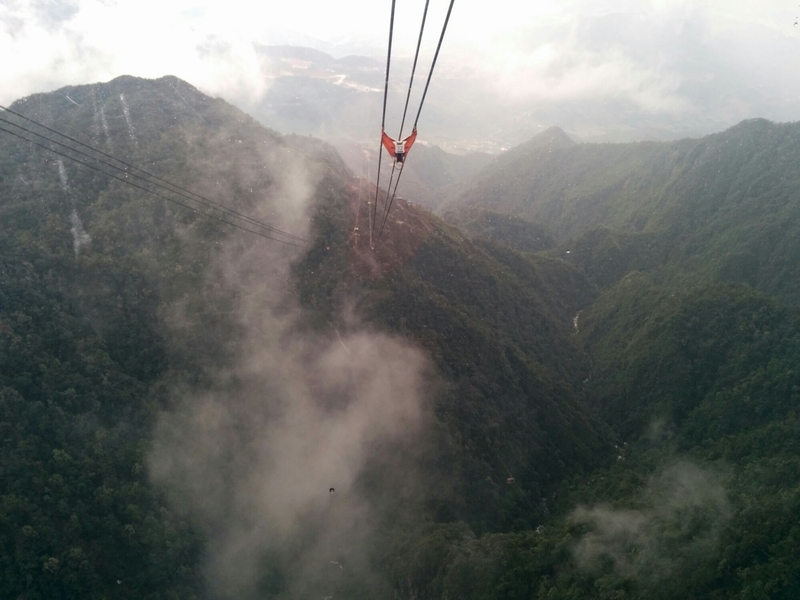 We had a 25 person cable car entirely to ourselves on the way up and the views were magnificent. We traversed above gorges and into the clouds. It was so foggy near the top that we couldn’t see further than 10 feet. The rain stopped so we decided to scooter back towards Ta Phin and enjoy the views by motorbike this time, though we didn’t have enough time to go all the way there. 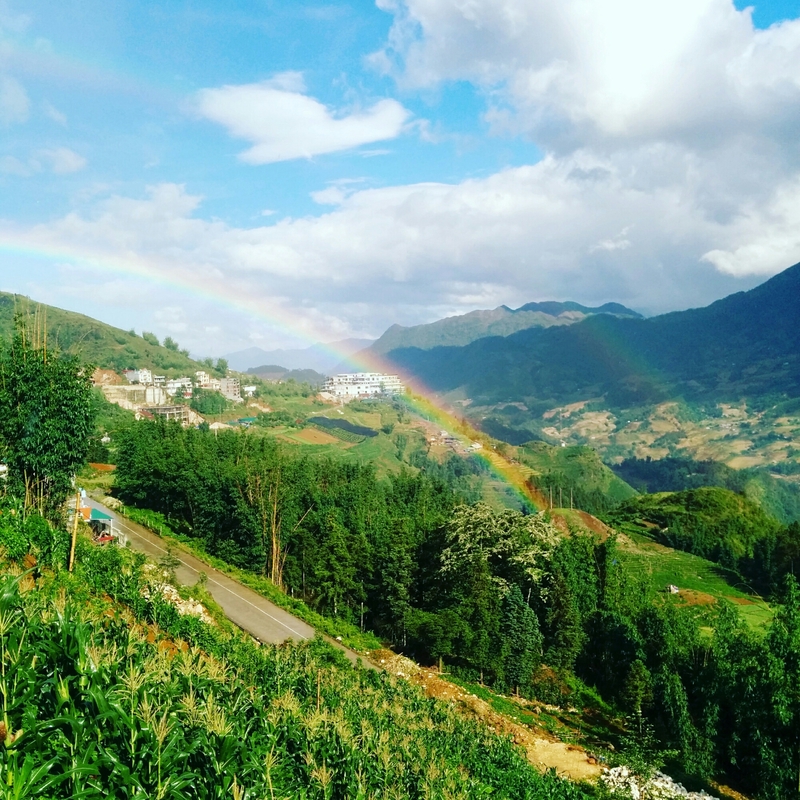 We took a bus back to Lao Cai to catch our night train, and no one vomited this time. We had dinner at a restaurant across the train station called Terminus and took notice of some Australians, one of which was a super douche. He had a man bun and was rude to the server. The night train back to Hanoi was quite a bit worse than the night train that took us there; it was extremely loud. The train frequently sounded like it was falling apart or going off the rails, and the conductor made loud announcements all night, but to our knowledge, no train parts fell off and we made it in one piece.